A Bluetooth Beanie is a knit cap worn on the head that includes built-in headphones for listening to music or taking phone calls wirelessly via a Bluetooth connection. Bluetooth is the name of a wireless technology that uses short-range radio waves coming from your smartphone or a computer. These wireless products contain small computer chips that receive the signal. Also, these devices are designed to connect to one another automatically when they’re close to each other. (Source). When looking for a cap with wireless capabilities, the first thing you want to consider is fit. Don’t get one that’s too tight. Also, consider the material and when you’re going to wear it. Wool and heavy knit is great for winter, while something lighter is better for spring (Source). In this article, we take a look at five beanie caps that feature Bluetooth headphones. The GoldWorld musical cap is a warm and comfortable knit cap. It’s a one-size-fits-all, but the elastic band ensures it’s not too tight. This cap features Bluetooth 4.1 technology, which at the time of this writing is most current version. Also, you can control this cap’s Bluetooth features with three button controls that allow you to control the volume of the sound, make and answer calls, and skip to the next song. The batteries give you about 5-6 hours of time when in use. Lastly, the sound system is removable for washing. 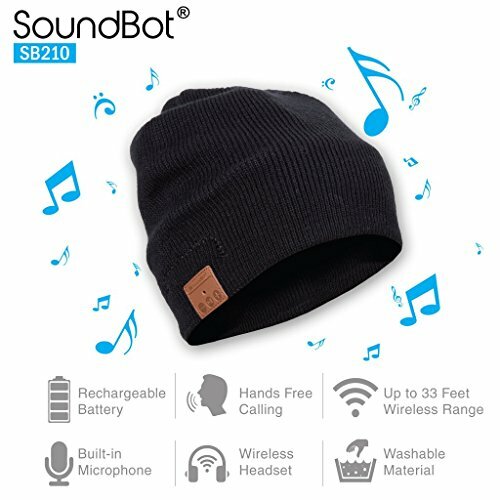 The SoundBot SB210 is a comfortable knit hat that features BT 4.1 speakers. 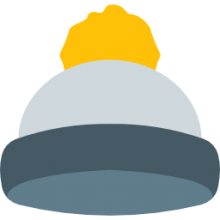 Like the previous hat, this one also features controls to take calls, and adjust your music. Music play time is about 5 hours. The knit 50 percent polyester and 50 percent acrylic stretches to fit most head sizes (Source). The Pococina Wireless cap is a stylish gray knit acrylic hat that’s thin, but still warm enough for winter wear. The battery gives you about a 6-hour charge for listening to music or talking on the phone. Like the others, this one also features controls to take calls, control music volume, and skip through songs. The range on this wireless system is up to 33 feet. Lastly, this comes with a 12-month warranty. Next up is the Ytonet headphone cap. This is also a stylish gray acrylic/poly knit blend, and perfect for cooler temps. This wireless system is BT version 4.0, and while not the latest, you won’t notice much difference between this and V4.1. What sets this apart from the previous hats is the large capacity battery that charges in about an hour and gives you a whopping 60 hours of standby time. Last up is the Shnmin Bluetooth beanie, which is made of polyacrylonitrile, making it soft and breathable and ideal for all types of weather. Controls for pausing, skipping music and answering a call are included. Also, the electronics are removable for easy washing. 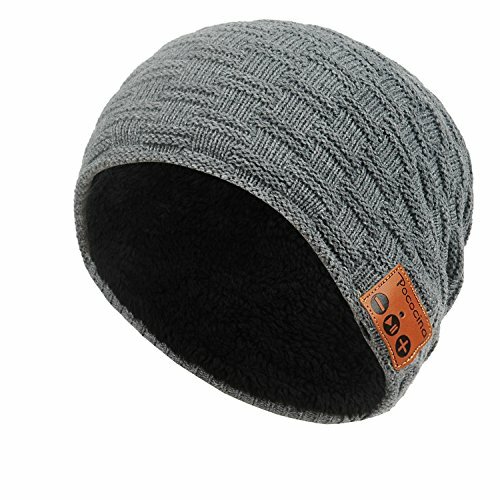 This Bluetooth beanie offered by Shnmin is comfortable, well-made, stylish, and an excellent choice for women and men. Users love the price and the color options, but some to note that the volume is not what they anticipated. The Shnmin wireless hat features double layer knitted fabric for breathability, a set-in mic, a rechargeable lithium battery, and easy to access button for hands-free calls, wireless music streaming, volume control, and more. Another excellent thing about this product is that has a zipper and a Velcro so that you can remove the headphones, speaker drivers, and battery to wash it. What’s more, it’s compatible with all BT enabled devices. In general, users have a high opinion of the Shnmin Bluetooth beanies, and they don’t have any major complaints. A reviewer mentions that he loves the design of the product and that it’s easy to set it up and connect it to your phone. She adds that it’s perfect for jogging and that the controls are simple. Another purchaser remarks that the men’s wireless hat is soft and comfortable and that she regularly uses it on cold winter days. She highly recommends it as one of the best wireless beanies. A buyer also shares that the product is easy to recharge and that the battery last around four hours. However, a few customers have noted that the audio is not loud enough for them and that the battery doesn’t last as long as they would’ve liked. If you want to use your phone and keep your hands warm during winter, you can try this wireless beanie offered by Ytonet. Users love that it’s washable, the but some do note that they have issues with the battery. The Ytonet Bluetooth hat is made of acrylic and polyester for comfort and warmth, and it has a built-in rechargeable lithium battery, which can last up to 60 hours on standby or four hours playing/talking. You can recharge it for one hour with a micro USB. Another excellent thing about this product is that it’s suitable for all BT devices (up to 33 feet range), and it’s available in two colors – gray and black. A buyer comments that he ordered two smart beanies and that the quality turned out to be far better than he expected. He adds that the hands-free hats are soft and thick and that they arrived in excellent condition. Another user shares that it’s easy to connect the smart hat to your phone and that the controls are easy to figure out. He highly recommends it as one of the best Bluetooth beanies. A purchaser also mentions that he is satisfied with the quality of the sound and that it’s perfect for driving and walking. However, a few customers have noted that the battery doesn’t last four hours but 1.5 – 2 hours at most. Some also state that the speaker doesn’t work and that sound is not loud enough. This hands-free beanie offered by Pococina is convenient, comfortable, and compatible with all Bluetooth enabled devices. Users love the gray color, but some do note that the speakers are not loud. The Popocina smart hat is made of acrylic fiber material to keep your head and ears warm, and it features a BT range up to 33 feet, a built-in microphone, and a built-in rechargeable battery. Another great thing about this product is that it has a 3-button control panel to make it easy for you to answer calls and control volume. What’s more, you can remove the speaker drivers and the batter if you want to wash the hat. The Popocina wireless hats have a 12-month warranty and a BT range of 33 feet. A reviewer comments that he is extremely satisfied with this women’s Bluetooth hat and that it’s easy to recharge it. She adds that it’s soft on the inside and that she is pleased with the quality of the audio. 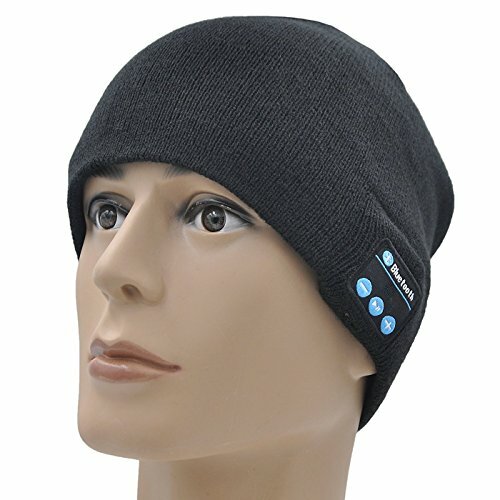 Another reviewer mentions that this is one of the best Bluetooth beanies and that it’s pretty straightforward how to connect it to the phone. A buyer also shares that the speakers are over the ears and that the smart hat fits snuggly. He adds that he highly recommends it to anyone looking for a men’s Bluetooth beanie. However, a couple of customers have noted that they are not satisfied with the sound and that they can barely hear anything. Some also state that it’s not big and looks baggy. If you are looking for a way to listen to music while jogging and you don’t want headphones, you can try this smart beanie headset offered by SoundBot. Users love the easy access control buttons, but some do note that the speakers are held in place with Velcro. The SoundBot smart hat has a shock-resistance surface, an eco-friendly built-in battery, a built-in mic, a removable wall suction cup, and an upgraded Micro USB port. Another excellent thing about this product is the HD acoustic loudspeakers, which are water-resistant and deliver enhanced music experience. What’s more, it’s compatible with all BT enabled media devices, and you get one-year warranty. In general, users have a high opinion of the smart Bluetooth beanie, and they are satisfied with its performance and usefulness. A purchaser comments that she had low expectations, but the wireless beanie headset turned out to be a product of excellent quality. She adds that the sound is loud and clear and that people hear you well when you speak to them. Another purchaser shares that he bought three women’s Bluetooth beanies as a Christmas gift and everybody loved them. She adds that you can connect the hats easily to your phone. However, a few customers have noted that they are not happy with the size and that it’s not suitable for warm days. Some also state that it malfunctioned very quickly and that it started falling apart after a few days. This smart musical beanie offered by GoldWorld is affordable, easy to control, and an excellent choice for winter days. Users love the 3-button control, but some do note that they received a defect product. The GoldWorld wireless hat features the latest BT 4.1 technology, and you can use it to connect to devices up to 30 feet. What’s more, the battery holds 5-6 hours (talking/playing) or 60 hours (standby), and you can remove the audio system to wash the beanie. In addition to this, you don’t have to worry about size because this Bluetooth hat is elastic and will fit most heads. And if something is not to your liking, you have a 5-year manufacturer warranty. A purchaser observes that the wireless musical beanie is more comfortable than headphones and that she connected to her MP3 with no problems. She adds that you can change the songs by touching the button on the side and that the material stretches easily. Another reviewer mentions that the sound is better than he expected and that this is one of the best men’s Bluetooth beanies he has ever seen. A buyer also shares that he wears the wireless hat every day when he goes running and that he doesn’t have any issues with it. However, some customers have noted that the product doesn’t work as it should and that they can barely hear the audio. A few also point out that they had problems with the speakers and that the Bluetooth beanie won’t connect to the phone. In this section, we take a deeper dive – exploring these head-hugging brimless caps. Over in Wikipedia, they have a comprehensive write-up hyphen and even distinguish between those that have a visor and those that do not. They also called them seamed caps, saying that most commonly they are constructed from triangular cloth sections that are merged by a crowning button and then seamed together around their sides. There are some Regional differences, as well. In different parts of America they can be referred to as stocking caps and in Canada they are referred to as a ‘tuque’. In the early 20th century the style was more of a skullcap comprised of several felt panels that were sewn together to build the hat. These panels often featured high contrast colors which gave them a clownish and fun-loving appearance. Young people were especially fond of this fashion accessory. Many colleges would make their own with school colors on the panels. Another variation that became popular in that context was the ‘whoopee cap’ – this was a felted hat that featured an upturned Brim that completed a band around the base. In terms of its name, some people speculate that It got its unique name because the button on the top looks like a bean. The Oxford dictionary speculates that the human head, which is often referred to as a bean, is the original source of the name. There was also a popular soap opera and England – in the British show called Crossroads featured a popular character named Benny and he frequently donned what we would now call a beanie. Another zany version of this fashion accessory is the propeller beanie. It was popularized by Ray Nelson, a science-fiction artist, who Associated it with science fiction fandom. Over at beanie designs.com, they load up an interesting overview of this entreating hat wear. They say that they were developed in South-East Wales in a town called Monmouth. They were widely popular, with nearly everyone wearing them. The government even got involved and created a law called the Cappers Act of 1488 which prohibited the native people from wearing any of these style of hats that were made from outside the country. An early example of protectionism. As the Wikipedia article also said, this style of hat wear was synonymous with working-class men and women. They were frequently worn by sailors and soldiers, prized for their waterproof properties and also became an export of choice.